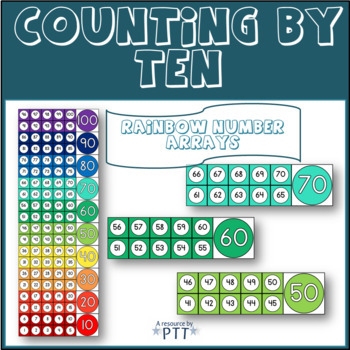 Help your students to count by tens in this colorful rainbow frame. The large version can be printed and glued together to create a wall display chart. The small ones can be laminated and used by the students as visual prompts.